“The spectre of a Democrat-controlled House suggests that we will see a little bit of risk-off in the market, which should probably benefit gold in parts,” said ANZ analyst Daniel Hynes. The win creates a clear hurdle for Republicans to easily pass legislation through both chambers of Congress, clouding the outlook for some of Trump’s key economic proposals. Wall Street stock futures and Asian shares held earlier gains on the election news, while the dollar weakened against most of other major counterparts, helping bullion’s appeal among holders of other currencies. “In the short- and medium-term, gold will be bullish from here,” said Peter Fung, head of dealing at Wing Fung Precious Metals in Hong Kong. “The outcome of the U.S. mid-term congressional elections and a two-day U.S. Federal Reserve meeting will likely keep trading activities tight for gold prices today,” Benjamin Lu, a commodities analyst with Phillip Futures, said in a note. 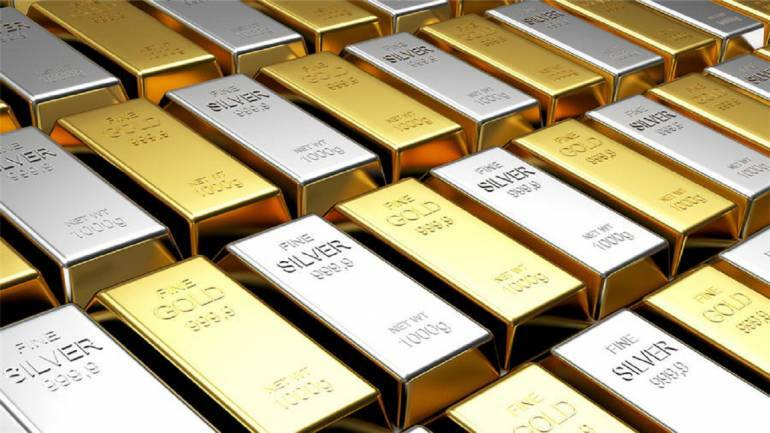 Holdings of the world’s largest gold-backed exchange-traded fund, SPDR Gold Trust, fell for the third straight session to 756.70 tonnes on Monday.